At some point I came across a recipe on the internet for “Muffins That Taste Like Donuts.” The recipe looked great, so I made it. My oldest son ate a few bites and said, “They don’t taste like donuts, but they are really good!” We all agreed, and so it went into the binder of recipes to keep. The gluten free version I’ve created actually does taste more like a donut than the gluten version, but it still isn’t quite a donut. Inspired by Muffins That Taste Like Donuts. Preheat oven to 350F. Use canola oil to oil a 12 muffin cup pan. Set aside. Prepare the topping ingredients by melting the butter. In another bowl, mix together cinnamon and sugar. Set both aside. In a large bowl, mix together the dry ingredients. In a medium bowl, mix together the wet ingredients. Add the wet ingredients to the dry ingredients and stir thoroughly. Divide the batter evenly between the 12 muffin cups. Bake for 21-23 minutes. Allow to cool for a few minutes, and then remove from the pan. Allow to cool to a point that you can easily touch them. 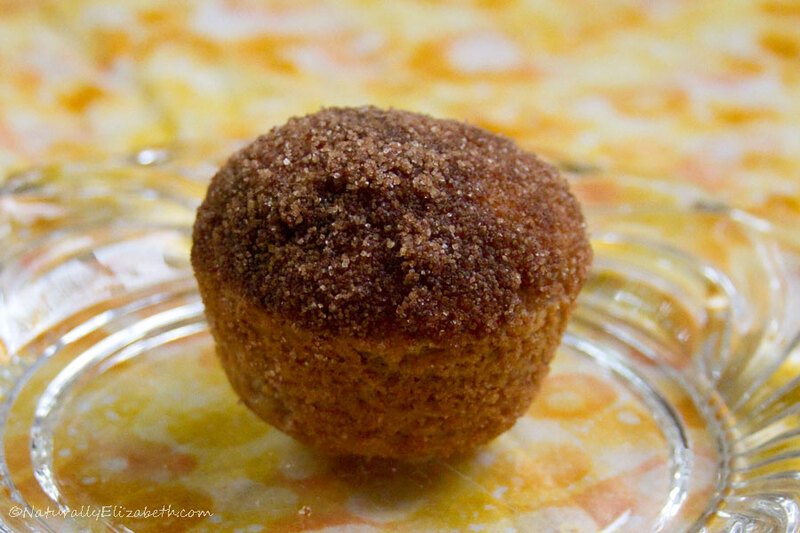 Dip the top of the muffin into the butter, and then dip into the cinnamon-sugar mixture. *You could substitute another fat such as margarine, coconut oil, palm shortening, or canola oil to make this completely dairy free.